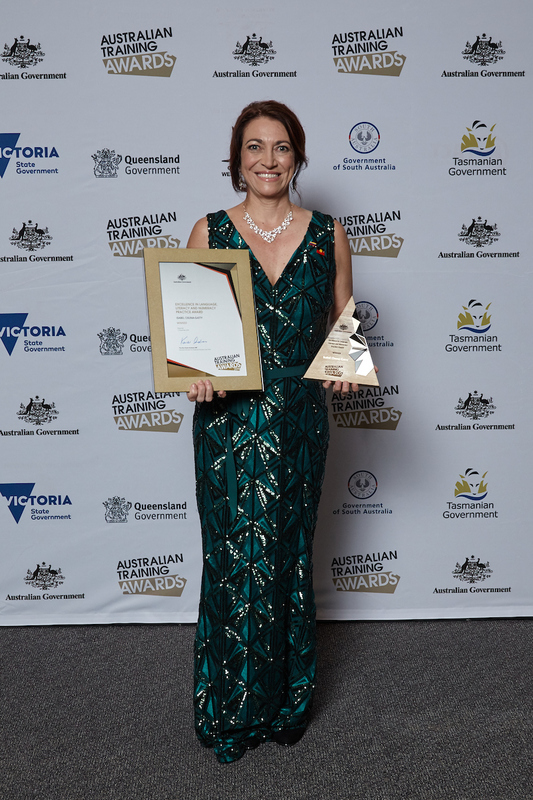 Presenters: Isabel Osuna-Gatty – Isabel Osuna-Gatty is the recipient of the 2016 Australian Training Awards’ Excellence in Language, Literacy and Numeracy Practice. Her wide-ranging career began in South America managing the English language department of a private high school, developing ESL lecturing staff and teaching Literacy and ESL at the Central University of Venezuela. She continued her career in Australia as an adult Language Literacy Numeracy/ ESL teacher at various community colleges before moving into educational management, she was the national Workplace English Language and Literacy broker for commonwealth funded projects in rural and remote communities across Australia. Isabel is currently the Senior Lecturer for the Community Pathways team which includes Literacy, Numeracy and Life Skills programs of an Australian Aboriginal educational institute. Her skills extend to instructional design, writing specialised training resources and assessment tools. In 2015, 61% of Aboriginal young people in the Northern Territory achieved below the national minimum standard in spelling, grammar and punctuation; policy makers and government blame these results on low literacy skills in parents and school absenteeism. Based on my experience as a teacher, one of the main reasons is the approach that is currently being used in formal education. Teachers assume that because Aboriginal people are able to communicate in English, they are also proficient in reading and writing. On the other hand, while 95.6% of non-Aboriginal students achieved the literacy benchmark for Year 3, only 42.5% of Aboriginal students achieved the benchmark in the Northern Territory. For years, there has been a campaign of ‘Closing the Gap’ in many aspects of Aboriginal life, such as education, health and access to services, but unfortunately, statistics show that this change towards closing that gap has been minimal and painfully slow. Aboriginal people make up 30% of the population of the Northern Territory, they speak 20 different languages, and English is usually their third or fourth additional language. My classrooms are comprised of learners coming from remote Aboriginal communities across the Northern Territory; besides speaking different languages, they also have very different cultural backgrounds, English is the language they use to communicate with each other. This superdiversity means that Aboriginal learners need to consolidate English literacy skills while learning English as a Second language, so English becomes an Additional language. This unique methodology comprising learning and teaching approaches to EAL and Literacy is also a powerful tool to accelerate and intensify processes of cross-cultural social integration, which might be useful to other practitioners assisting superdiverse communities in the UK and other parts of the world. I use my teaching practice to promote social change and to empower Aboriginal learners, I teach awareness of Human Rights, and other important issues and responsibilities using this ‘multi-literacy’ approach. I use my classroom as a means of problem solving and promoting social justice, which results in a professional practice which meets the needs of a superdiverse cohort and assists with the social integration of learners at a local and national level.